After Valeri Simeonov resigned as vice-PM in a surprise move late last Friday, the government seems more and more unpredictable in terms of its survival. There is obviously something deeply concerning regarding this government’s lack of consistency and overall inability to form a relatively clear message as to its vision: not of the country or policy-wise, for itself. The former would entail a much higher level of organizational culture, which this government is so far off of. The bar is set as low as can be: for this government to be able to stay on track on a single message regarding its own existence. Parents of children with disabilities had demanded Simeonov’s resignation for almost a full month before getting it. They went to the streets every single night and marched from the council of ministers’ building to the central office of Simeonov’s party. Not only did Simeonov maintain that he will not resign, he hardly acknowledged the problem. In fact, he barely apologized for what triggered the protests for his resignation: Simeonov called the parents of children with disabilities (who’ve been protesting for legislative amendments regarding people with disabilities since June 1) “loudmouthed women with supposedly sick children”. In efforts to explain himself, he used dehumanizing language in referring to people with disabilities. The PM, along with other members of the ruling coalition did as well. While those in power continued to say all the wrong things, one thing was clear from them all: Simeonov will not resign. All the while PM Boyko Borissov repeated almost daily that Simeonov’s resignation is not on the table. In an arguably humiliating exchange with some journalists, he admitted his hands were tied regarding Simeonov. That is, he and this government are entirely dependent on the coalition partner: an uncharacteristic admission, as Borissov’s pride and joy, is playing the leader, who bears the burden of (all the) power. Borissov’s god complex, of course, shouldn’t concern anyone on its own. But its deterioration and in full public view at that is an important sign that the PM is losing control. Apart from the ruling coalition, the so-called small coalition – the coalition partner, which is made up of three far-right nationalist parties – has been boiling with inner conflicts and scandals over the last year. And this time it is no different. Simeonov announced he will be taking back his seat as MP after he resigned the post of vice PM. This meant that someone from the nationalists had to go, and it would be from rival Volen Siderov’s quota. Siderov has been quite open in his criticism of Simeonov on a regular basis, bordering insult. Their conflict continued to be center stage at the voting of the new vice PM in place of Simeonov. Simeonov personally nominated his now former chief of staff, Mariana Nikolova for the post, arguing she is up to date with his administration’s work. Siderov and his party boycotted the vote altogether. Nikolova is not a political figure, her career has been in the public sector. She is now formally the United Patriot’s vice MP’s, and clearly, not all members of the Patriots agree on her nomination. This in itself can prove a bombshell in the future as well. Borissov also decided not to attend the hearing and voting on the new vice PM, as did Simeonov. While this story is unfolding, the country has been under pressure from state-wide protests. The protests began against high fuel prices but quickly evolved in an all-in-one demand for government resignation, system change, higher living standards, etc. 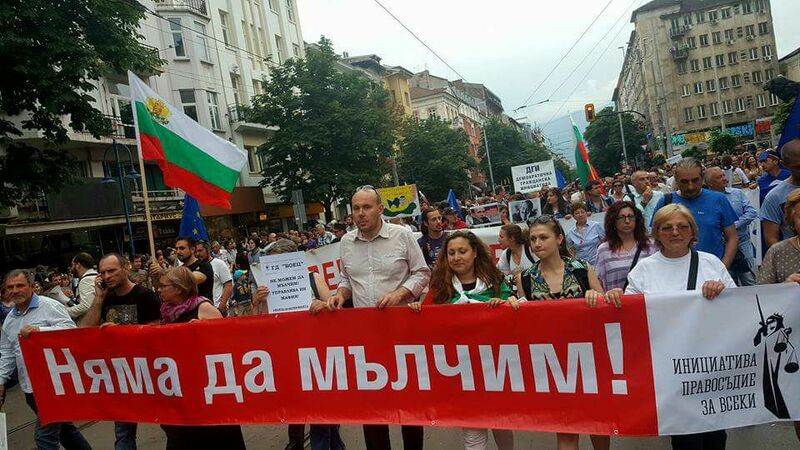 The protests bear a striking resemblance to the protests from February 2013, which led to the resignation of the second Borissov cabinet, and whose central theme was high utility – electric in particular - prices. This time fuel is on focus, a serious problem in Bulgaria as it touches on one of the key monopolies in the country: that of Lukoil Bulgaria, who according to different experts own about 80%-90% of the tax warehouses in Bulgaria, from which the distributors must buy fuel from. Lukoil’s monopoly and key role in forming the fuel prices is public knowledge, although institutions such as the Commission for the Protection of Competition are still investigating whether or not Lukoil abuses its dominant market position. The protesters have been blocking city roads and national road networks for weeks now. The government responded by promising to introduce new receipts for fuel, which will reveal the way the price that the end-consumer pays is formed. An underwhelming response, considering the problem lies elsewhere, at the point of free-range monopoly power. The government seems at a loss to solve the problems the public puts forward, but this is low priority compared to the more pressing and important matter of cleaning up its image. Slavi Trifonov, a show host, who has been eyeing a political career for some time and frequently likes to assume the voice of “the people” invited several of the highest ranking public officials to be guests on his program. PM Boyko Borissov was one, Chief Prosecutor Sotir Tsatsarov, arguably the most powerful figure in the country, was another. It was a good thing Trifonov began his interview with Borissov by having to say that he is no journalist. Indeed, not only that but not even a politically semi-literate citizen at that. His T-shirt symbolized the parents of children with disabilities ongoing protests, but his actions told another story. The producers of the show even gave the special touch of disassociating the questions from Trifonov and the show altogether: they were said to be sent to the show from citizens. The questions were not particularly sharp but still managed to touch on some major issues, ignoring others, of course. But the most important element of why this interview wasn’t an exchange between the power and the voice of the public was that there were no follow-up questions. It was just a primetime slot in which the PM could tell his version of the state of the country with no interruption, no fact-checking and no pressure whatsoever. The interview with Sotir Tsatsarov followed the same structure. Tsatsarov is notoriously one of the – if not the – most powerful people in the country, and the Prosecutor’s Office – often used as a political tool under his command. This is the obvious reason why Trifonov failed to ask him about two of the greatest corruption scandals during his term, and involving him personally. 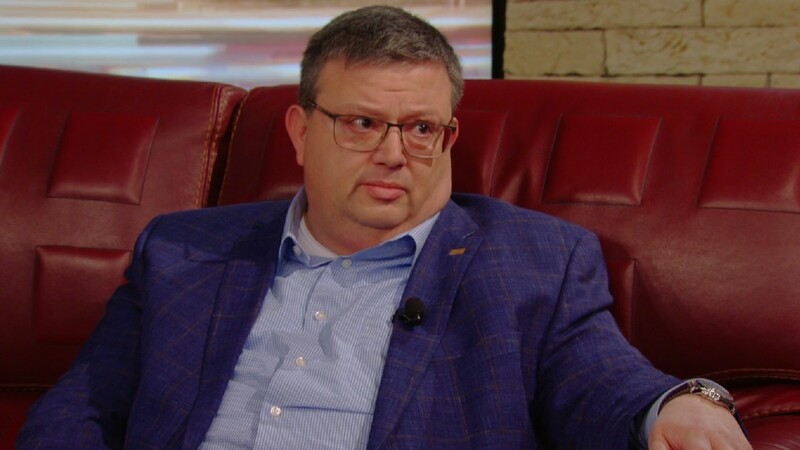 It also explains why the host of the show did not follow up on any of Tsatsarov’s answers, whose whole interview could be summed up in telling the story how the Prosecutor’s Office is a single island of integrity in a sea of ineffective and corrupt state institutions. Even the factual fallacy of the very notion that the power of the prosecution is powerless and helpless in the face of wrongdoing went unnoticed by the host. Trifonov gave the floor for the two men to wash their image thoroughly. Both men tried to convince the public of the opposite of what is apparent: Borissov pretended he holds his power where he doesn’t, and Tsatsarov pretended he has no power where he does. However, some uncomplicated PR could hardly counter the exponential process of this government’s undoing, and if this is their only ace up their sleeve, we might be looking at this government’s soon collapse. Chief Prosecutor Sotir Tsatsarov first announced he intends to launch a probe into the Finance Minister Vladislav Gouranov. The reason for the probe is that Gouranov lives in an apartment, which is not his and for which he pays a rent far below the market price. The apartment is said to be owned by Kiril Domuschiev – a controversial figure in the business world, owner of the company Navigation Maritime Bulgare, which privatized the Bulgarian state shipping company. Domuschiev is also the chair of the Confederation of Industrialists and Employers. Tsatsarov referred the case to the Anti-Corruption Commission as well. If indeed the apartment is Domuschiev’s this would be ground for an investigation into conflict of interest. Gouranov denied the claims and told reporters on Friday that the apartment is his children’s godfather’s. He expressed readiness to cooperate in the investigation and said he would provide the commission with all the necessary documentation. 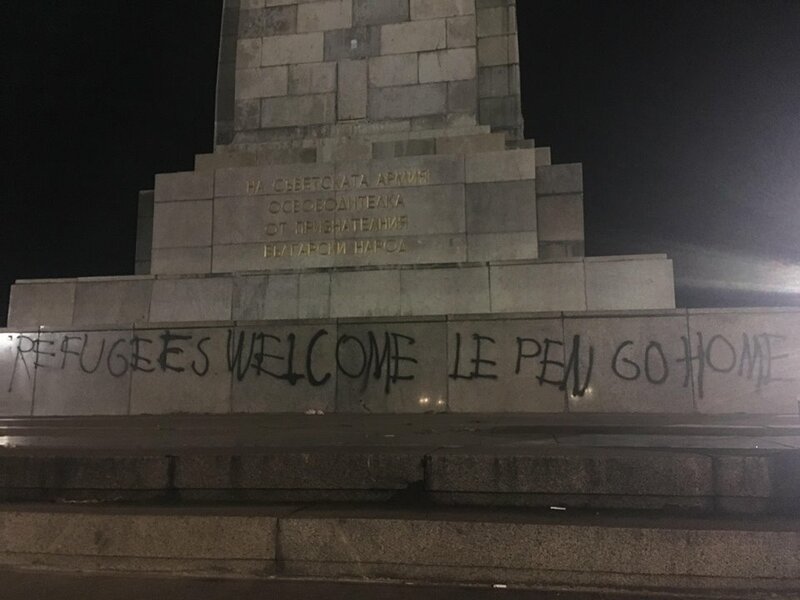 The Sofia Regional Prosecutor’s Office charged a 22-year-old biology student last weekend for writing graffiti on the face of the Soviet army monument in Sofia, which read “refugees welcome, Le Pen go home”. The student was firstly detained for 72 hours. The Sofia Regional Court later released him but the Prosecutor’s Office insisted that the accused be held in custody. The charges, which the prosecutors put up against the student are not of a minor offense but instead go to the more severe charges, for which the Penal Code provides up to 5 years in prison. On a side note, it is doubtful whether the act could be categorized as any felony under the penal code, as the court’s long-standing practice has been to rule such provocations as acts of freedom of expression. The prosecution took to the second instance, the Sofia City Court, which reaffirmed the precious’s ruling: the charges put up by the prosecution are disproportionate and severe. Apparently, the Prosecutor’s Office is overly sensitive on the symbolism of the act, as it is clearly a harmless and victimless offense. Though the question remains whether the institution was insulted by the fact that the Soviet army’s monument received graffiti, that they attacked the far-right French nationalist Marie Le Pen, that it gave a positive message to refugees or all of the above. Meanwhile, Bivol’s Dimitar Stoyanov declared that one of Bivol’s reporters had received threats by someone from GP Group because of their reporting on the company. The civil initiative Justice for All will organize a march in support of the former mayor and deputy mayor of the Sofia district of Mladost Dessislava Ivancheva and Bilyana Petrova on Saturday. The organizers point to the severe process against the two women and the violation of their civil rights as the main reason for the march. “The most dangerous criminals and corruptive people in the country turned out to be Ivancheva and Petrova – for a bribe of 55’000 euro, which still remains nothing more than hearsay. This is the justice, which they give us, and which Brussels approves of”, the open letter by Justice for All reads. The march will be on Saturday, November 24 at none and will take off from the National Palace of Culture building. The ruling coalition proposed recently for the numbering of political parties on the elections’ ballots to be removed. The opposition parties DPS and BSP oppose the measure as indirectly filtering out uneducated and other citizens, for whom it might be difficult to identify their choice by going through all the names of the different parties and coalitions. Along with these proposals, the ruling coalition also introduced amendments to the Elections Act, which effectively abolishes the articles, which meant providing machine voting option in every voting place and the introduction of e-voting in 2019. With the amended texts the government would no longer have to uphold a deadline for e-voting, which effectively sends in into the realm of wishful thinking, and wouldn’t have to provide machine voting everywhere. Under the current act, machine voting had to be available everywhere before the last elections in March 2017. Ten days ago the Prosecutor’s Office announced that two of the three partners of GP Group are being investigated for tax fraud but did not specify who. On Friday the Prosecutor’s Office charged Vladimir Lozanov and Georgi Vassilev with tax fraud and money laundering of 14 million euro. It remains unclear why the prosecution hid the names of the two before and why it is announcing them now. GP Group has been receiving much public attention thanks to extensive investigative reporting by Bivol.bg, which exposes an elaborate corruption scheme for EU funds fraud, penetrating all levels of the process of receiving, controlling and reporting funding. 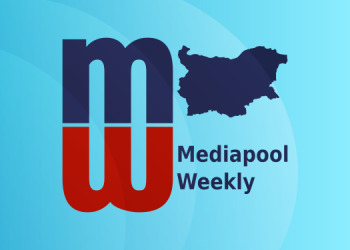 In early September two Bivol reporters were detained while investigating the story, which led them to discover a site where a large number of documents, thought to be connected with the scheme, were burnt. The two informed the local police, who detained them for nearly ten hours. The story received international headlines and eventually reached the EC, which referred the case to OLAF. 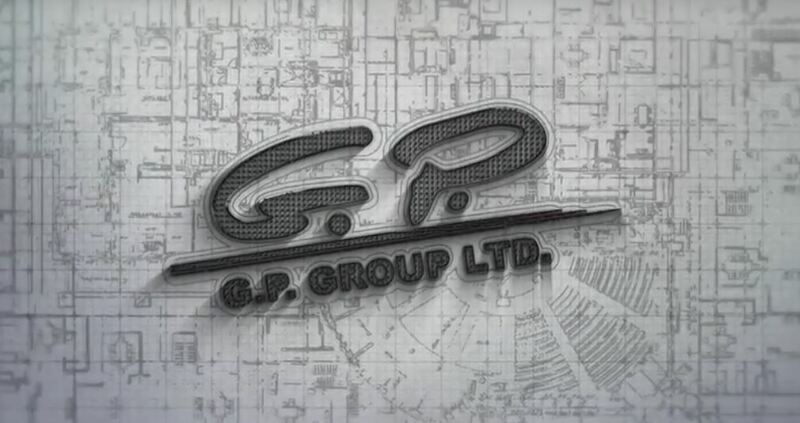 GP Group is the largest construction company in Bulgaria in terms of revenue. It is the most frequent winner of public procurements in Sofia and across the country, financed for the most part by EU funds. The overwhelming public and EU focus on the story eventually led – it seems – the Prosecutor’s Office to charge the owners of the company. Back in September the European Parliament MP Svetoslav Malinov submitted an official inquiry to the EC. Malinov asked two questions: one about whether the Bulgarian government could go ahead with the renewal of NPP Belene, as it declared to do, and second about the new requirements for constructing nuclear power plants, which were developed in the EU after the Fukushima crisis. 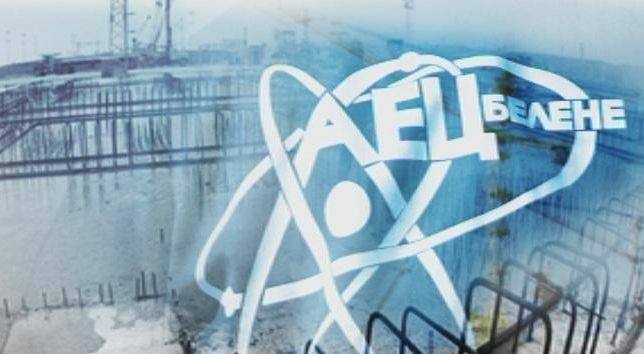 The EC has answered that if the government decides to renew the construction of NPP Belene, the EC will consider this a new project under the current legislation and the Euratom Treaty. This means that in case of renewal the EC would have to conduct a whole new assessment of the project for NPP Belene and its compliance with EU laws. The previous Borissov government declared the end of Belene in 2012. The current government announced it is thinking of its renewal last year. Now Energy Minister Temenuzhka Petkova had until October 31 to present a plan for strategic partnerships, tender procedures and so on but this has been postponed. One of the key promises of this government is that NPP Belene will only be restarted in case there is an investor, who is willing to take up the project without state guarantees. However, finding such a partner is extremely unrealistic on its own. Now they would have the added risk of going into a project that has not received the approval of the EC.